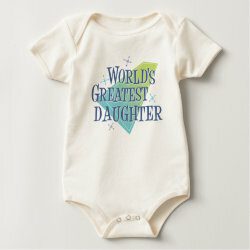 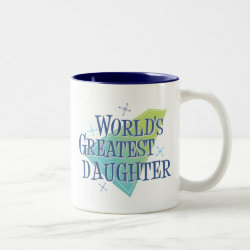 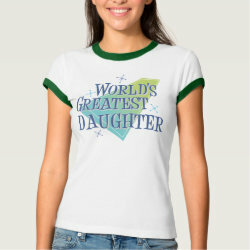 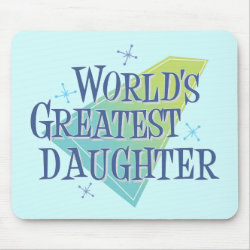 This retro design in cool blues and greens reads World's Greatest Daughter. 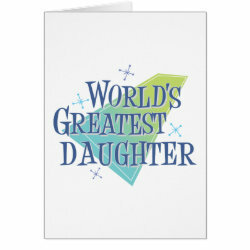 Geometric shapes make up the background of this design with an old-fashioned feel. 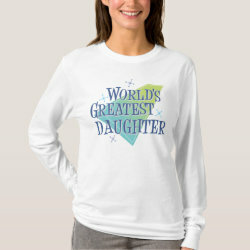 Show your daughter you think she's simply the best with this fun original family design.